A seasoned and experienced locksmith should be able to gain entry to your vehicle easily with the proper tools, preventing any further damage to the vehicle or further frustration for the owner. While it is true that having a reliable locksmith on call for these kinds of situations is extremely helpful, a mobile locksmith can help with many other tasks besides basic lockout assistance. 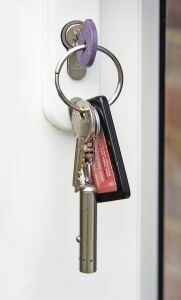 Helping people with lockouts is just one part of what an average locksmith does. There are many other tasks that a good locksmith should be able to help with, and the best locksmiths are constantly learning about new technology and equipment so they can provide the most efficient services on all of the latest locks and keys. Car ignitions and security systems are constantly evolving, with more and more vehicles utilizing new transponder chip keys and keyless entry systems to open and start cars. A true locksmith professional should be working to learn about these new auto technologies and how they can be repaired and replaced so that they are better able to serve their clients. Many people assume that they need to go back to the dealer to get specialized key fobs and remotes but a good auto locksmith will have the tools and knowledge to provide and program these parts, and they are often able to provide this for a lower price than the dealership. A mobile locksmith should also be able to assist with a variety of different locks, keys, and security systems for your home as well. Many older homes still have their old locks that may fall into disrepair and become difficult to use. A locksmith can come check out the locks of your home and provide the proper repairs and replacements so that you can feel confident in your home’s security. Many locksmiths are also experts in installing new locking systems with specialized keys or security codes to help keep unwanted guests out of your home. In the unfortunate event of a break-in, a good locksmith should be able to provide a new and better security system for your home. Many mobile locksmiths are able to arrive on-site with short notice, allowing them to begin working right away so that you can feel safe in your home again as soon as possible. Once you realize just how useful knowing a good locksmith can be, you’ll want to keep the name and number of a reliable, experienced, and licensed locksmith in your phone. This will help save you time and frustration going through the phone book or performing endless internet searches when you’re already in trouble. Remember, a good locksmith can help you with lock outs, broken and lost keys, home security measures, and more. If you’re in Stockton, Tracy, Manteca, or other nearby communities, be sure to save the number of The Key Guy Mobile Locksmith to ensure that you receive timely and professional help in the event of a lock or key calamity.